By Mary Kate Hickey | March 5, 2015. Located in the heart of the Liberties in Francis Street, BIMM Dublin has long been the starting point for the young music aficionados, attracting students from all over the country. The music institute boasts a long list of success stories including Meteor Choice award nominations and countless EPs, and that list is about to be added to by Wexford native Scott Williamson. Starting in BIMM in 2013, Scott is in his second year in the institute and I sat down with him to talk EPs, gigs and musical influences. I wondered if Scott would still be releasing an EP this year if he hadn’t have studied at BIMM and what influence it has had on him. “BIMM has been a great source of learning for me. I’ve gained a lot of confidence from studying there and it certainly motivated me into writing a lot more songs than I used to” he said. “I’ve always wanted to record my own songs and release an EP; my experience from BIMM did help with the whole process but I was going to do it regardless”. Scott plans to release the EP in spring of this year on both iTunes and on CD. “I decided to release the EP around that time because the songs have a summer feel to them and I want these songs to be stuck in people’s heads by summer” he said. 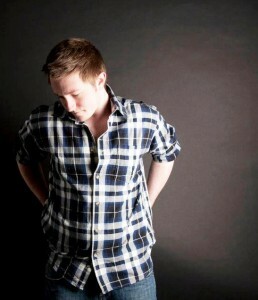 Scott plans on playing a few gigs around Dublin to gather buzz around the EP’s imminent release. “Hopefully I’ll be able to create some sort of a fan base and get more people interested in my music” he added. Watch this space.